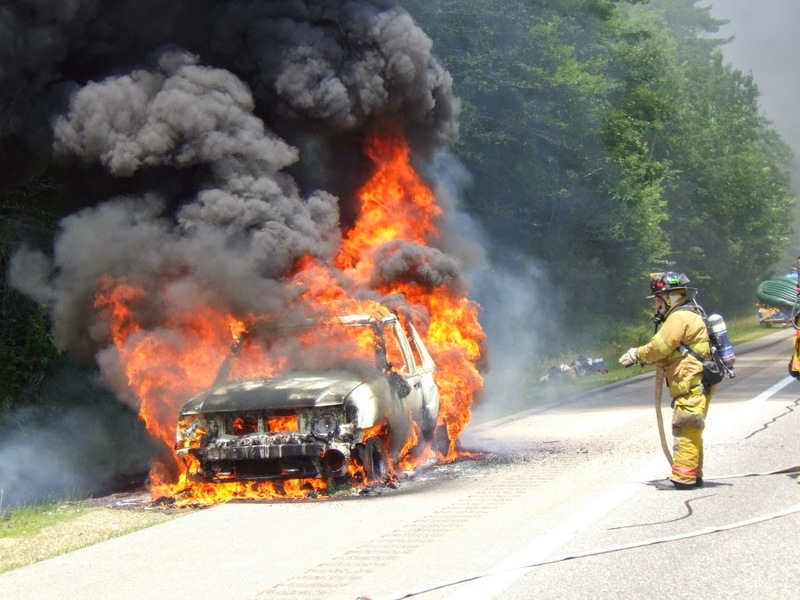 Due to heat outside and defective engine, lots of people are dying because of auto fires. It’s a very dangerous problem and car owners should act accordingly to prevent this unwanted crisis. It’s advisable to do a regular check up before it’s too late. Most car owners are reluctant to visit a servicing shop, which may create various problems for them in future. Just to save few bucks, your life can be at risk. In order to keep your car in good shape, you should call the nearest servicing workshop and get your car checked properly. 1. STOP your car: Getting out of the car as soon as you see smokes from the bonnet is strictly recommended. You should stop your car and get outside before it’s too late. 2. You first: Forget about all your belongings because your life is much more precious. Instead of thinking about your favorite gadgets or other documents inside the car, you should rush out as soon as you see smokes. There are chances of car burst anytime. 3. Tools to fight crisis: Keeping precautionary tools like fire extinguisher, wheel nut brace, hammer is advisable in case you are trapped inside and need to break out by hammering the windows. 4. Keep Calm: It’s all about keeping your cool intact during the crisis. Don’t get nervous instead detect the source of the smoke and try to break out from the other side. 5. Take Help: It’s always advisable to take immediate help from others in this kind of emergency. Good points .. but in most cars the tools are put in the boot . so how do you get to the hammer or the extinguisher when the need arises.. if you are stuck inside..